We’re only a few days into 2015 and yet we’ve already seen one trend that is likely to become a major issue in the Middle East. 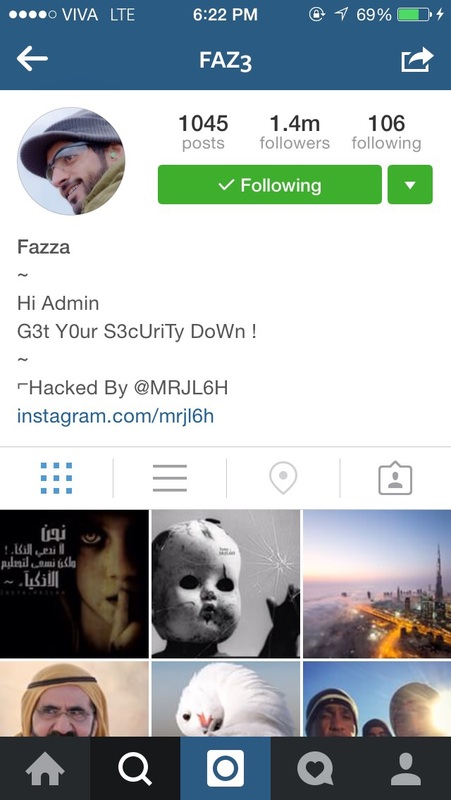 Over the past two weeks a number of Instagram accounts of celebrities and well-known figures have been hacked. The first to be targeted, at the end of 2014, was the Lebanese singer Nancy Ajram. Ajram was only the first of a spate of hackings. 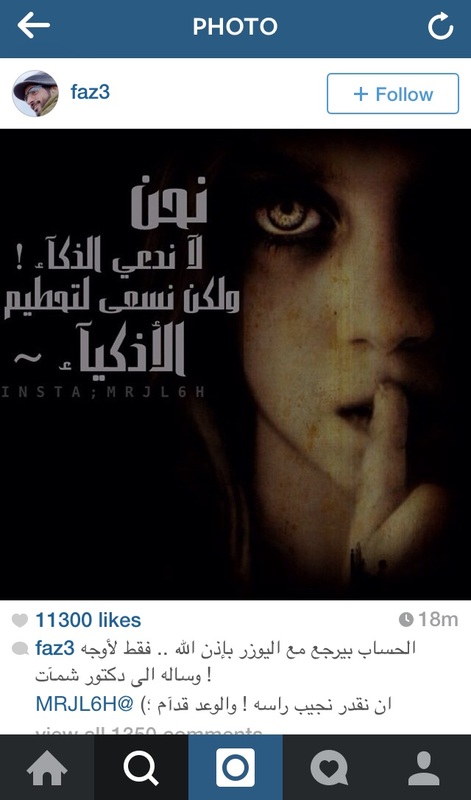 Only this week the Crown Prince of Dubai, Sheikh Hamdan Bin Mohamed’s Instagram account was broken into by a hacker called @MRJL6H, who posted a number of images with text which can be translated as ‘we do not claim to be intelligent, but seek to destroy those who themselves claim to be intelligent. 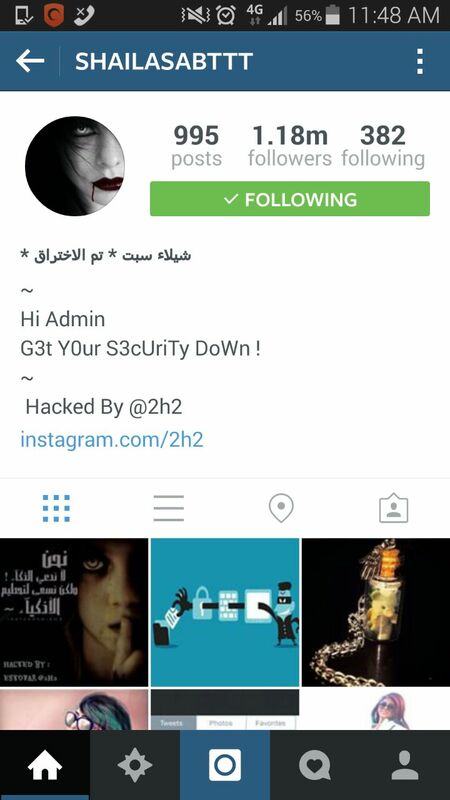 Yesterday, a Bahrain-based actress and model Shaila Sabt was hacked in a similar manner to that above by @2h2, using presumably the same techniques used to hack into Sheikh Hamdan’s and Nancy Ajram’s accounts. There seems to be no reason to attack these Instagram celebrities, besides from the number of their followers. However, the compromising of these accounts is a reminder to everyone online to be aware of their security and initiate two step authentication where possible. If you’d like to know more about two step authentication read Google’s advice here. My own feeling is that this trend will only grow during 2015. We’ve been fortunate to avoid hacking incidents, despite the popularity of social media in the Gulf. That may change over the coming 12 months, and we may see many more social media celebrities being hacked, either for fun or to spread a particular political or social message.